Glass might be legal to use while driving, but it sure isn't welcome in Ohio movie theaters. One explorer found out the hard way that wearing the face computer will quickly get you noticed inside an AMC theater—and not in a good way. That should go without saying, but the unnamed patron decided he would wear the device, which is capable of surreptitiously recording video, while he watched Jack Ryan: Shadow Recruit. About an hour into the movie, he was apparently apprehended by the FBI; it's as if he was taking part in the espionage thriller in real life. 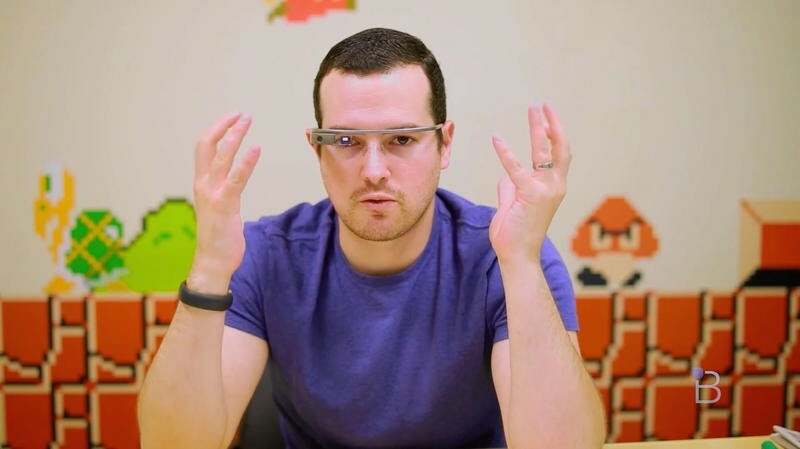 The man reached out to The-Gadgeteer to share his exciting tale, saying he had worn Glass, which were equipped with prescription lenses, on two different occasions to the same theater without incident. Employees even approached him about Glass out of curiosity in the past, the man said. But over the weekend of Jan. 18, as he was watching the movie with his wife, an agent approached the man and demanded he go outside, where five to 10 cops were already waiting. When the man was finally confronted, he was accused of "illegally taping the movie" through his Glass—an accusation made a bit presumptuously, but not all that unsurprising. The man and his wife eventually submitted to voluntary interviews, where the two were interviewed extensively about a supposed movie pirating ring. The man, of course, denied any wrongdoing, insisting that his Glass (and smartphone) had been turned off during the flick, and that he needed them to actually see. From the guy's account, it sounds as if these agents had never even heard of Glass, or at least had no prior experience with it. After a long time somebody came with a laptop and an USB cable at which point he told me it was my last chance to come clean, the man explained. I repeated for the hundredth time there is nothing to come clean about and this is a big misunderstanding so the FBI guy finally connected my Glass to the computer, downloaded all my personal photos and started going through them one by one. Five minutes later they concluded I had done nothing wrong." The man eventually wonders if he should "sue them for this. "One should not wear [Glass] to the movies," the man concludes. You think? There are already enough privacy concerns surrounding the technology, which gives wearers tools to snap photos and record video discreetly. Knowing full well what the tech is capable of, the man should not have risked it, especially since he simply turned Glass off during the movie in the first place. I don't know about you, but I wouldn't consider a night out with someone wearing Glass particularly romantic. But to each his own—just be aware that you might be confronted by the FBI.